Marilyn Redmond was born in Seattle, WA and graduated from Western Washington University. She has three years of graduate work including the University of Washington. 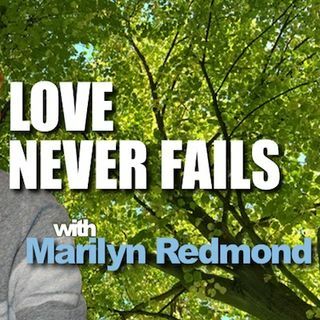 Marilyn retired from teaching and become an ordained spiritual minister to do spiritual counseling along with instruction in healing, regression, past life therapy, and other related training. As a psychic / medium, she connects beyond the veil. Her pioneering and innovative work in restoring traumatic lives, healing ... See More emotional causes of illness and releasing negative energy, restores health and reality. Her understanding and wisdom of the human dilemma and the solutions will work for your, too. Marilyn uses groundbreaking techniques as a Therapeutic Hypnosis for healing the root or origin of your problems, which removes the symptoms and heal the circumstances. She helps people attract their prosperity and health. You can learn the secret! Marilyn teaches in colleges, wellness centers, and for metaphysical groups. She has lectured and presented workshops for Edgar Cayce’s A.R.E. since 1996. In addition, she is an award-winning international writer, author, and columnist appearing at universities, colleges, seminars, retreats, wellness centers, adult education, and conventions. Marilyn does volunteer work in abuse, addictions, and dysfunctional families. Her efforts lead to her many videos, now on YouTube and DVD including, “Domestic Violence” and “Empowerment”.